The aim of this course is to demonstrate a complete understanding of high voltage safety and associated risks and the implications of neglecting safety when working with high voltage. Understand the additional hazards of working with high voltage systems and equipment in a marine environment. Understand the types of injury that may result from exposure either directly or indirectly to high voltages. Demonstrate a knowledge of the types of protective equipment used when working on high voltage systems. The management of health and safety at work, with reference to High voltage electrical safety. Personal protection, isolation and earthing. Safe working practices on high voltage. Lay out of the MSB on high voltage system and the ring net system to low voltage. Fundamentals of variable frequency drive induction motors. Operating and carrying out maintenance on medium voltage system. Construction and working of the high voltage Vacuum circuit breaker. 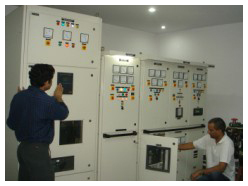 Intrinsically safe system and equipments used and the precautions working on these systems. 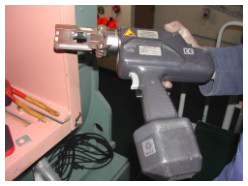 Visual and mechanical inspections associated with low-voltage and mediumvoltage cables. 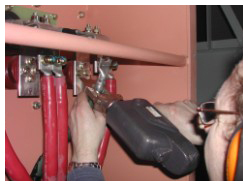 Care and maintenance of high voltage equipment. Care and Maintenance of vacuum circuit breaker. Reading and Interpreting circuit diagram. Fault diagnosis in ring net system.